Blog Magento - Embedded ERP 2.9.2 is released ! 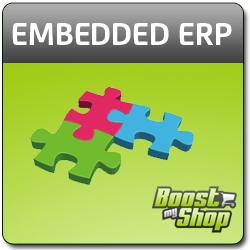 Embedded ERP 2.9.2 is released ! We are happy to anounce the release of ERP version 2.9.2 : the best solution to manage inventory, purchasing and order preparation in Magento comes with new features and a lot of improvements ! To see the full changelog, please login to your customer account and go in "My Extensions". You can now perform stock taking from ERP using a USB barcode scanner : create inventories per warehouses, process scanning by location and adjust stock levels based on what you scanned.